An ex-radio broadcast engineer and ABC newsman, DAN WILLIS has taken a keen interest in how the mainstream media continues to be used as a tool for curating a powerful "agreed upon" reality, intended to keep disclosure out of the reach of the general and interested public. On the last Wednesday of every month Dan joins THE Q.PSIENCE PROJECT Founder JILL HANSON to co-host THE Q. 's special broadcast show OBJECTIVE: REALITY, bringing into conversation esteemed guests who are uniquely qualified and experienced to pierce through the many layers of disinformation and challenge listeners' perception matrix. BIO: In the early 1980's, Dan worked closely with the late MARCEL VOGEL (1917 - 1991) during his pioneering research to scientifically link consciousness with geometrical forms as exemplified in quartz crystals, also investigating the therapeutic application of quartz crystals and the relationship between crystals and water. In 2001, Dan was one of the top-secret military witnesses who testified at the National Press Club event in Washington DC before the major mainstream media - a historic world disclosure event aimed at evidencing the necessity of a congressional hearing regarding rogue, illegal secret government operations and the extraterrestrial reality. Hearings were being sought in order to bring forth the over 500 military and intelligence witnesses to testify, and provoke the release of technologies which had been derived from extraterrestrial origins, reverse engineered by scientists within these black projects - far advanced technologies which have been hidden for over 60 years, and could put an end to archaic industries and technologies which damage our planet. 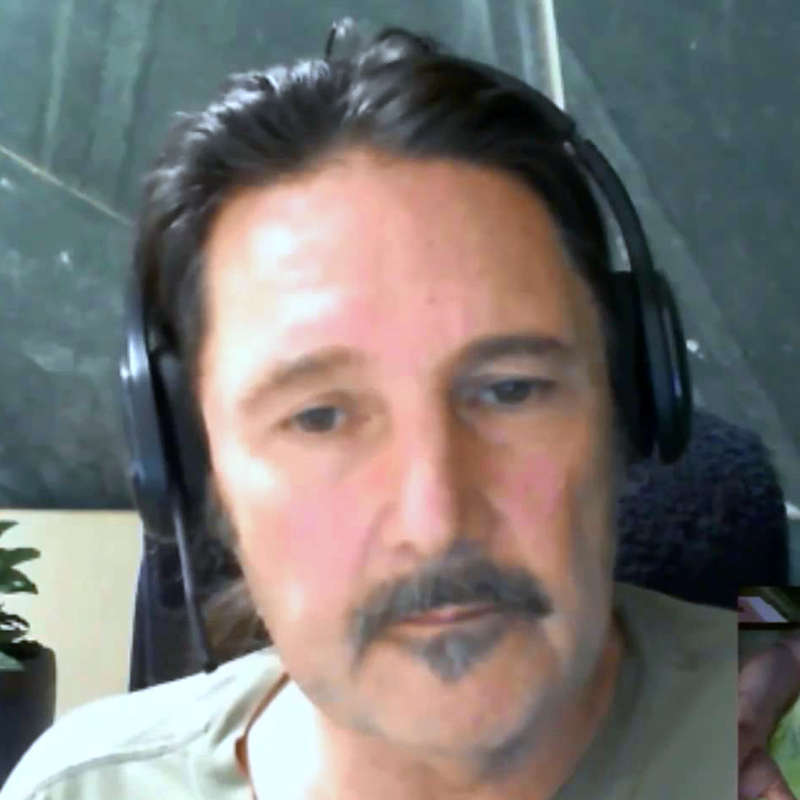 Dan brings to THE Q.PSIENCE PROJECT decades worth of in-the-trenches knowledge and experience in Exopolitics/ET/UFOlogy, Free/Zero Point Energy/The Black Projects, and more - including privileged insight gained through Top Secret, Crypto Level 14 with ESM (Extra Sensitive Material handling) clearance. Psychologist, Astrologer, author, and highly sought-after expert dream interpreter and media expert, DR. LENNOX has established himself as humanity's Ambassador to Conscious Embodiment. You can find him stopping by THE Q. on a quarterly basis to offer his incredibly informed "finger on the pulse" insights into the current state of Astrological geometries which may be influencing the fabric of human experience. BIO: Dr. Lennox obtained his Masters and Doctorate in Psychology from The Chicago School. His Doctoral Dissertation titled "Astrology and Personality", is published by Lambert Academic Publishing out of Germany. He is the author of three books on dreams: Dream Sight: A Dictionary & Guide for Interpreting Any Dream was published by Llewellyn Worldwide Press in 2011 and is now available in five languages; his second book, Llewellyn’s Complete Dream Dictionary, came out in May of 2015; and The Little Book of Dreams was released in September of 2017. Dr. Lennox leads workshops and retreats all over the United States and conducts a worldwide private practice based in Southern California. Dr. Lennox has appeared on such networks as the SyFy Channel, MTV, NBC, and others. Artificial Intelligence | eastern thought | music theory. SCOTT TRUMP joins THE Q.PSIENCE PROJECT team quarterly as the eyes, ears, and discerning voice of the swiftly evolving, and future-critical field of Artificial General Intelligence (AGI). BIO: Having spent 6 years at Amazon and Google, Scott is a technology and business expert consulting to Silicon Valley start-ups. With an academic background in Quantum Physics from Penn State University and having studied Artificial Intelligence with MIT, Scott brings a solid scientific background and complementary interdisciplinary foundation built upon personal awareness practices rooted in Non-dual Tantric Yoga and Buddhism. Scott is an accomplished artist and musician, and is the composer responsible for THE Q.’s forthcoming 2019 theme music.